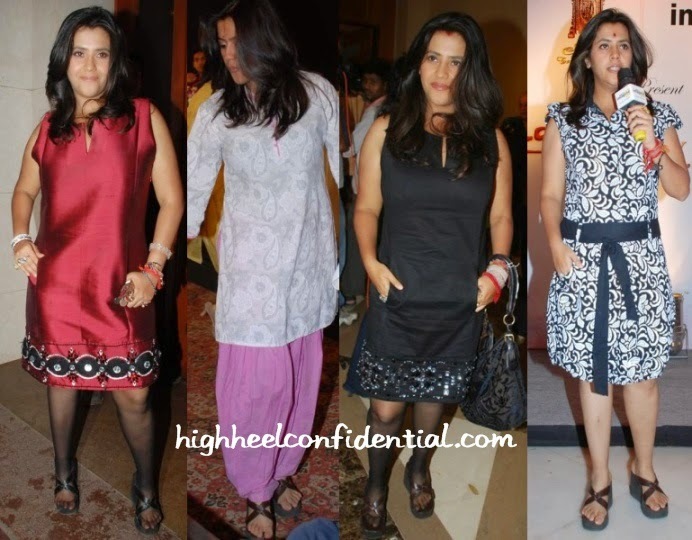 Since even before 2007, Ekta Kapoor, has been seen in these ugly clogs. When she likes a thing, she likes it and repeats it. Then whether it her TV serial actresses or repeating the old dadis in her TV serials till they become 6th generation old or repeating Malini Ramani's gowns in various versions or these clogs that she has worn with saris, lehengas, gowns, dresses, etc etc. 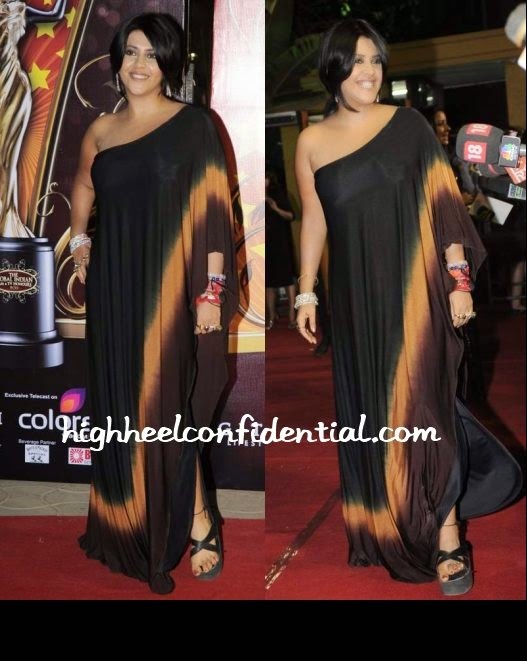 She has repeated these ugly footwear since many years and they are going on till date. When is she going to dump them? 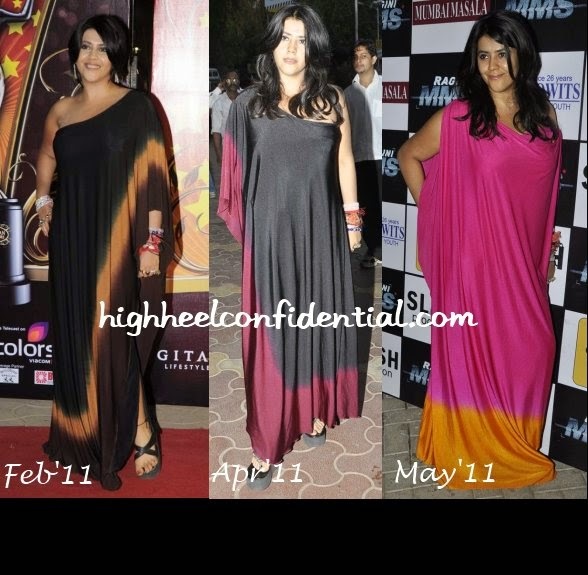 There are few Delhi socialites also who are seen in one same footwear with everything, on every occasion and everywhere. Same gold bling pumps, same wedge heels. Footwear is something that is noticed and should be changed with your attire. Source for all images is this.